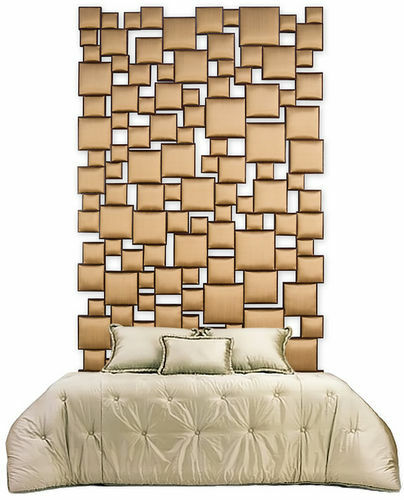 Composed of one hundred and sixty cubes in a myraid of complexity, this dramatic headboard is a stunning centerpiece for any bedroom. 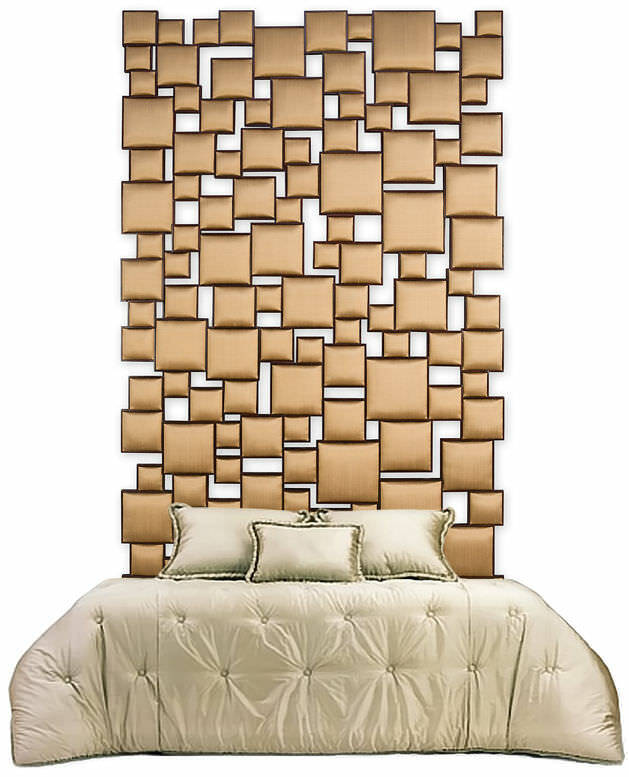 The headboard is able to hang both vertically and horizontally and it fits all base sizes (Queen, King, and California King). 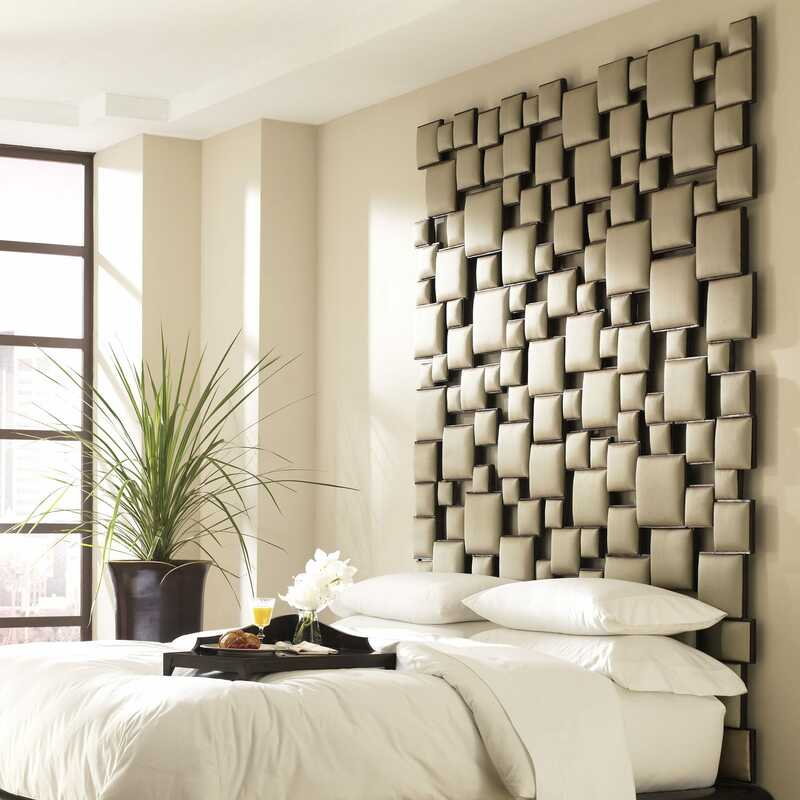 Supplied in two seamless sections for ease of installation. Base supplied seperately.